Ralph Bishop had a brilliant three-year career with the University of Washington Huskies. In his senior year (1936) he received All-America recognition and was the Huskies’ team captain. Bishop was the only collegiate player selected to the U.S. basketball team for the 1936 Berlin Olympic games. 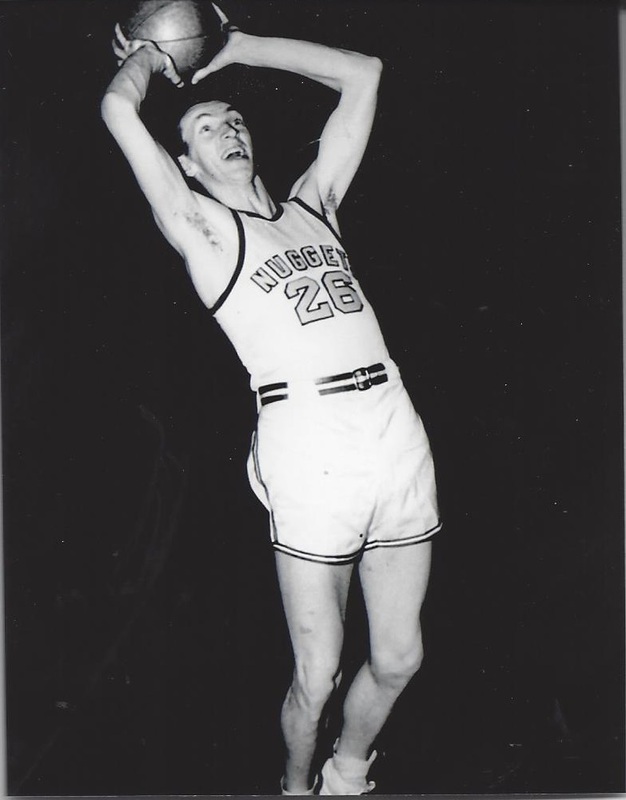 Bishop played for the national AAU power Safeway Stores of Denver the following year and then joined the Denver Nuggets in the 1937-38 season. In 1938 and 1940 he was named an AAU All-American. During WW II, Bishop played for the Norfolk Naval Air Station, one of the best service teams in the country. After the war, Bishop resumed his AAU career in Denver. In 1947, he became the coach of the Nuggets. Under his direction, the Nuggets posted a 39-12 record and took second place in the AAU American Basketball League, second in the National AAU Tournament and third in the 1948 Olympic Trials. In 1948, Denver joined the National Basketball League with Bishop as coach, but could win only 18 of 62 games. Ralph English Bishop Born: Oct 1, 1915 Died: Oct 1, 1974 Hometown: Yakima, Wa.